Nymphs Family Salon & Spa is an exclusive family salon for body therapy and beauty treatments. The salon is headed by Harsh Panara (Owner) who has over 15 years of experience as a grooming expert. 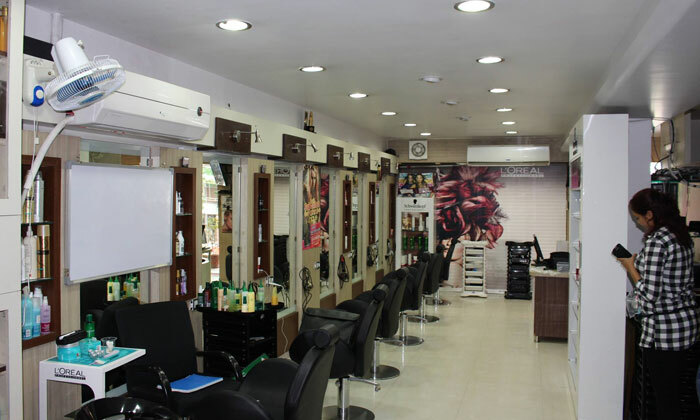 Located on the Bodakdev in Ahmedabad, Nymphs Family Salon & Spa offers beauty, hair & skin care services with make up. It’s amazing to see that their young stylists interject their ideas and create new looks that the customers love.